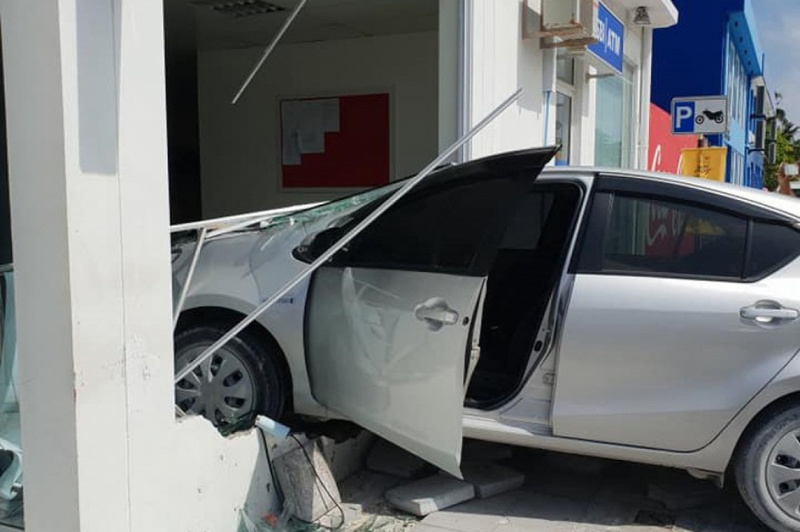 Car crashes into SBI Hithadhoo Branch at Hithadhoo, Addu City on January 14, 2019. A car lost control and crashed through the window of the State Bank of India (SBI) Branch in Hithadhoo, Addu City this Monday afternoon. The SBI Hithadhoo Branch is located in the main road of the island. Photos of the crash show the window of the bank completely shattered with two thirds of the car inside the bank. The crash reportedly did not result in any casualties. Maldives Police Service says the crash took place at approximately 2:15 pm. A team of police officers are currently at the scene to investigate the crash.